You are here: Home / Departments / Housing and Community Development / Youth Development / Accepting Applications for 2019 now! Accepting Applications for 2019 now! 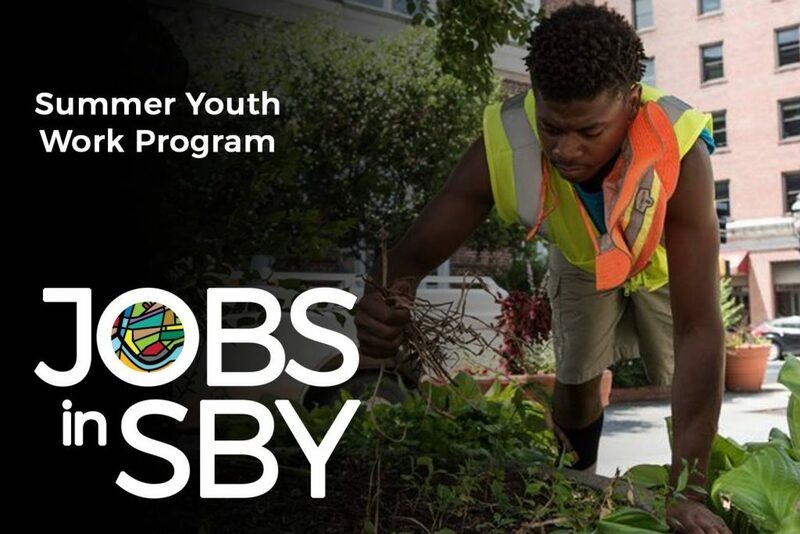 Now in its 4th year, Salisbury’s Summer Youth Employment Program will begin accepting applications for 10 paid positions beginning Friday, April 5th 2019. The City, Junior Achievement of the Eastern Shore, the Wicomico Board of Education, and the Greater Salisbury Committee have again partnered to provide a 10-week employment opportunity which includes structured learning and mentoring designed to give teens the skills and knowledge they need to succeed and thrive post-graduation. The program spans ten weeks, and includes training through Junior Achievement of the Eastern Shore’s (JA) JA Fellows Program. Volunteers from JA will work with the Fellows participants throughout the ten weeks to ensure optimal on-the-job performance, and will counsel the participants on resume and soft skill development. By the end of the program, participants will have established work experience history, learned valuable job skills, cultivated the knowledge necessary for future career growth, and gained access to business resources in and around the City. To be eligible, applicants must be between the ages of 16 and 18, and enrolled in a high school within City limits at the time of application. Applicants who will turn 19 over the summer will be allowed to participate in the program. Additionally, only students who are currently enrolled in the FARM program (Free And Reduced Meals) will be considered. Check all types of photo ID you posses. The normal work day is 8/8:30am to 4:30/5:00pm, Monday - Friday. Position availability is limited. The City will try to match up employees with positions that match their preferences. Additional information you want to share about yourself. Tell us about extracurricular activities, volunteerism, or anything else that we should take into consideration while reviewing your application. 1) Under Maryland law an employer may not require or demand any applicant for employment or prospective employment or any employee to submit to or take a polygraph, lie detector or similar test or examination as a condition of employment or continued employment, except law enforcement officers as defined in 727 of Article 27, or any employee of any law enforcement agency of the State of Maryland, or any county incorporated city or town, or other municipal corporation. Any employer who violates this provision is guilty of a misdemeanor and subject to a fine not to exceed $100. 2) In submitting this application for employment, I authorize investigation of all statements contained therein. I hereby authorize the City of Salisbury to make any contacts considered necessary to my employment, such as previous employers, criminal or credit bureau records. I authorize any person or organization whose name I have given as a character reference or by whom I have been previously employed and any educational institution which I have stated I attended to furnish the City any information they may have concerning me. I hereby release all such persons, organizations, and institutions from any claims for damages or otherwise by reason of furnishing such information and records. It is understood and agreed that any misrepresentations or omissions by me in this application will be sufficient cause for cancellation of the application or the separation from City employment. 3) I understand that as a condition of employment, I may be required to undergo and successfully pass a screening for substance abuse. I also understand and agree that, if employed, I may be required to submit to an alcohol or substance abuse screening as required by law and City Policies and Procedures. I hereby consent to having the results of any such alcohol or substance abuse screening I may be required to undergo disclosed to City Government. I understand that this application is the property of City Government and will be part of my personnel file if I am accepted for employment. Driving record checks may be required of an applicant or employee who may be required to operate a City or personal vehicle on City business. This will also depend on the nature of the position and the insurance company's requirements. I hereby authorize the City to obtain a complete driving history. 4) Any applicant who is selected for employment by the City of Salisbury must, as a condition of employment and before any offer of employment can be considered final, complete United States Department of Justice Immigration and Naturalization Service Form I-9 and provide acceptable documents that establish both identity and employment authorization as defined by Federal Regulation. The foregoing must be accomplished before employment and failure to do so will cancel any offer of employment with the City of Salisbury. The proposed employee has 5 working days within which to comply with these requirements.